DynaTrace Software is an Application Performance Monitoring tool (APM), which is extensively used nowadays. It comes with advanced features for monitoring applications. Through which the user can without difficulty identify the performance of the application. DynaTrace is used to discover the existence of defects in CPU performance, response time, transaction rate, throughput, and system usage. It will help the user to diagnose and fix many performance issues at an early stage and make the application more valuable. 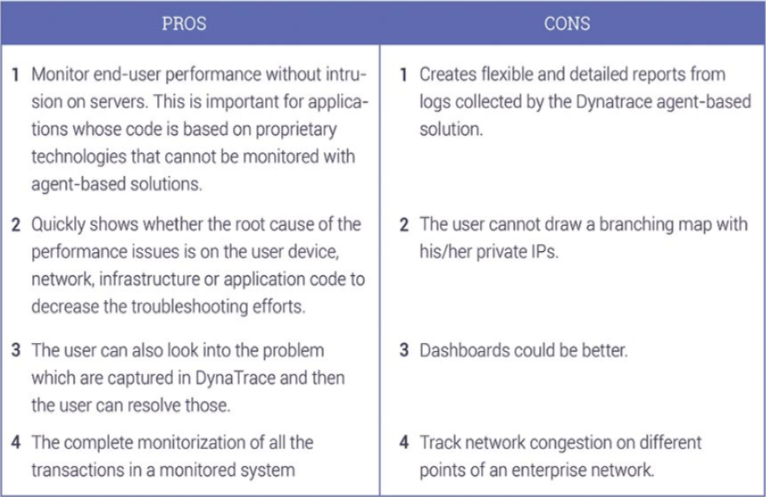 DynaTrace server should be installed on the user’s system and it consists of host and agent. It will have a dashboard through which the user can diagnose the system in one place. The server can easily interact with the agent if wanted, for that the user have to run the command through terminal and then can easily watch the interaction and also can alter the time. Application Performance Monitoring tool DynaTrace Software by admin.